Orbital metastasis is uncommon, accounting for only 1–13% of all orbital tumors reported. The approach to metastatic orbital tumors has dramatically changed in recent decades. The improved life expectancy of patients with common cancers, such as breast cancer and prostate cancer, together with aging of the population and the resultant increase in the number of patients at risk for cancer, has led to a higher incidence of patients living with metastatic disease in unusual sites such as the orbit. Furthermore, vigilant surveillance and advances in diagnostic testing have led to increased detection of orbital metastases. 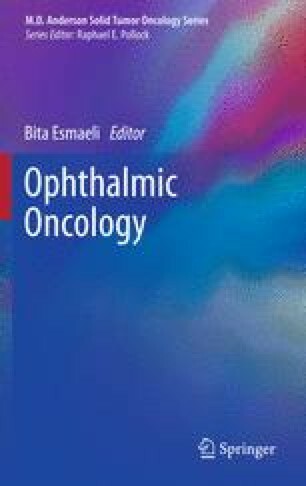 Because of the poor prognosis for patients with metastatic orbital disease, treatment is usually palliative and may include radiotherapy, chemotherapy, hormonal therapy, surgery, or a combination of these modalities. The ophthalmologist may play a pivotal role in the detection and management of these lesions in patients with and without a primary cancer diagnosis.